Over 100 students of the St. Vincent and the Grenadines Community College (SVGCC) received scholarships from the Republic of China on Taiwan at an official award ceremony held at the Glen Campus on Friday November 17, 2017. 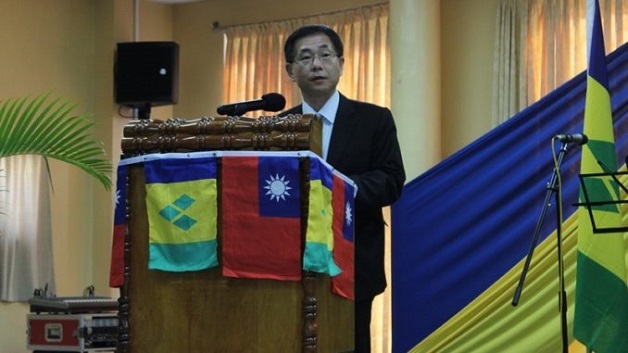 This significant charitable gesture comes as a result of a longstanding diplomatic relationship between the Government of St. Vincent and the Grenadines and the Republic of China on Taiwan, which spans more than 3 decades. Recipients received cheques in the amount of EC$1,000 to assist with their educational expenses towards the furtherance of their studies at the college. The bursary awarded to this year’s students totaled USD$200,000, doubling the annual amount previously donated by the Taiwanese officials. In his official address to the awardees, His Excellency Ambassador Baushuan Ger congratulated the students for their hard work, noting that it is for this reason they have been chosen as beneficiaries by the college.